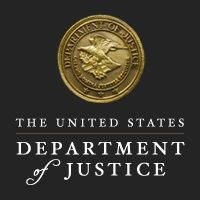 WASHINGTON, D.C. — (RealEstateRama) — A federal jury in Central Islip returned a guilty verdict today against Cornell Bozier, the former Chairman of the Board of Commissioners at the Village of Hempstead Housing Authority (VHHA) on four counts of an indictment charging him with conspiracy to commit honest services wire fraud and federal program bribery. The verdict followed a two-week trial before United States District Judge Joan M. Azrack. When sentenced, Bozier faces a maximum sentence of 20 years’ imprisonment. Richard P. Donoghue, United States Attorney for the Eastern District of New York, William F. Sweeney, Jr., Assistant Director-in-Charge, Federal Bureau of Investigation, New York Field Office (FBI), and Christina Scaringi, Special Agent-in-Charge, U.S. Department of Housing and Urban Development, Office of the Inspector General, Northeast Region (HUD-OIG), announced the verdict. The evidence at trial established that between March 2011 and November 2012, Bozier engaged in schemes with his co-conspirators – contractors James Alimonos and Peter Caras – to defraud the citizens of the Village of Hempstead (the Village) and the VHHA by soliciting and accepting bribes and kickbacks in exchange for Bozier using his official position to ensure that the Board of Commissioners (the Board) accepted fraudulently submitted bids for VHHA construction projects. The VHHA is responsible for providing and maintaining safe and affordable low-income housing in the Village. As chairman, Bozier controlled the Board and could bypass HUD regulations for bidding and for awarding construction projects. In August 2011, Bozier fraudulently obtained an “emergency” designation from the Board for repair of the intercom system at a VHHA on Totten Avenue in the Village without the public bid requirement to ensure that the contract was awarded to the lowest qualified bidder. Alimonos then directed another co-conspirator to submit a falsely inflated bid of $95,740 to replace the intercom system. Alimonos paid Bozier approximately $30,000 for securing the Board’s acceptance of the fraudulent bid. In September 2011, the VHHA received four proposals from companies controlled by Alimonos to replace the roof of a building on Yale Street in the Village. Bozier accepted a bid of $248,000, although the bid lacked the required paperwork. Bozier then secured the Board’s approval, and the VHHA paid a total of $273,900 for the project. Thereafter, Alimonos hired another construction company to replace the roof for $23,000. In return, Bozier received a kickback of approximately $55,000 from his co-conspirators. In July 2012, the VHHA received two proposals from companies controlled by Alimonos to repair the boiler piping system at a building on Gladys Avenue in the Village. Bozier ensured that the $164,000 contract was awarded to a company established in the name of Alimonos’s wife, although the bid lacked the required supporting information. Alimonos then hired another construction company to do the repair work for approximately $26,000. In return, Bozier received approximately $30,000 in kickback payments from Alimonos and Caras. Alimonos and Caras previously pleaded guilty to honest service fraud conspiracy and testified at trial against Bozier. Both are awaiting sentencing. The government’s case is being handled by the Office’s Long Island Criminal Division. Assistant United States Attorneys Paul G. Scotti and Artie McConnell are in charge of the prosecution. Assistant United States Attorney Madeline O’Connor of the Office’s Civil Division is handling matters related to forfeiture.